Holidays 2019 in Sardinia? Delphina hotels are waiting for you! Home > Sardinia > Blog > The perfect destination for holidays in 2019? The North of Sardinia! If you are thinking about holidays in Sardinia in 2019 with its crystal clear sea, white beaches, relaxation and fun, discover what Delphina hotels & resorts have dreamed up for you. Make your holiday wish come true and take advantage of the unmissable holiday offers for those who book early. Summer 2019 is closer than you think and booking your holidays in Sardinia in advance means that you can plan your stay in complete relaxation and make the most of the discounts on offer at the hotel that you like the most. This is the best time for guaranteeing your place in the sun with the luxury of a 4 and 5 star hotel but at discounted prices. Discover the 2019 First minute booking offers and come to Sardinia with a 15 % discount! Whatever your idea of a holiday is, there’s a Delphina hotel or resort that’s perfect for you! Are you travelling with small children or spending the holidays with the family? The 4 star Resort Le Dune at Badesi has a completely refurbished childrens’ area. The Castello Duneland, with its fully equipped bottle-warming room and a brand new look, is a paradise for both the youngest guests as well as guaranteeing peace of mind for parents. A world made to measure for the whole family with Mini, Junior and Teen Clubs and lots of sports activities to make everyone happy. 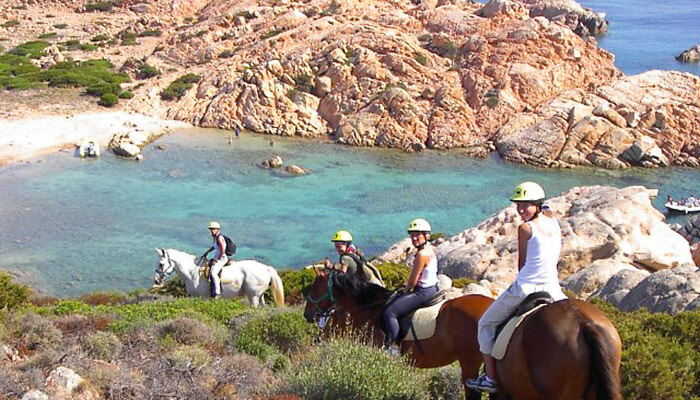 If you are looking for the luxury of a holiday close to the La Maddalena Archipelago, the Valle dell’Erica Resort offers the perfect formula for leisure, fun and relaxation for the whole family. Even this 5-star Santa Teresa Gallura structure is designed to meet the needs of children with play areas surrounded by nature and lots of opportunities for fun and games while Mum and Dad enjoy well-deserved moments of relaxation by the pool or at the Le Thermae Spa and wellness centre. Dreaming of a romantic getaway to Sardinia? A unique location a stone’s throw from the Costa Smeralda and the La Maddalena Archipelago, privacy, intimacy and exclusive services and facilities are the hallmarks of the Hotel Capo d’Orso. In this 5-star boutique hotel in Palau, a holiday for two is a dream come true: breakfast is accompanied by the sweet notes of the harp, moonlit dinners await you in the restaurant set literally over the water, and you can set sail on exciting boat trips that depart from the hotel’s private marina. If instead you are both nature lovers and believe that watching the sunset together is the most romantic thing there is, then the Costa Rossa is the right place for you! From the terrace of the Hotel Marinedda you can enjoy a breathtaking view that is painted with a thousand different shades of red every evening. A 5-star experience, matched by that offered by the restaurants overlooking the sea and made unforgettable by the atmosphere of harmony and well-being at the L’Elicriso Thalasso Centre & SPA, one of the largest in the Mediterranean. If you want to immerse yourself in an environment of complete relaxation and intimacy together with your partner, the 4-star superior Hotel Torreruja in Isola Rossa is the perfect destination for couples! Privacy, tranquillity and dream beaches a stone’s throw from the small fishing village are the ideal combination for your romantic holidays in Sardinia. If your idea of a holiday includes having the opportunity to regain the energy used up during the winter, why not combine rest with wellness? The sea around Sardinia is able to restore your lost psychophysical harmony which is why sea water is the perfect ally in helping the body and mind to get back into shape and balance in all the Delphina hotel and resort Thalassotherapy centres. Are you a sporty free spirit who never stops? Delphina has what you want. 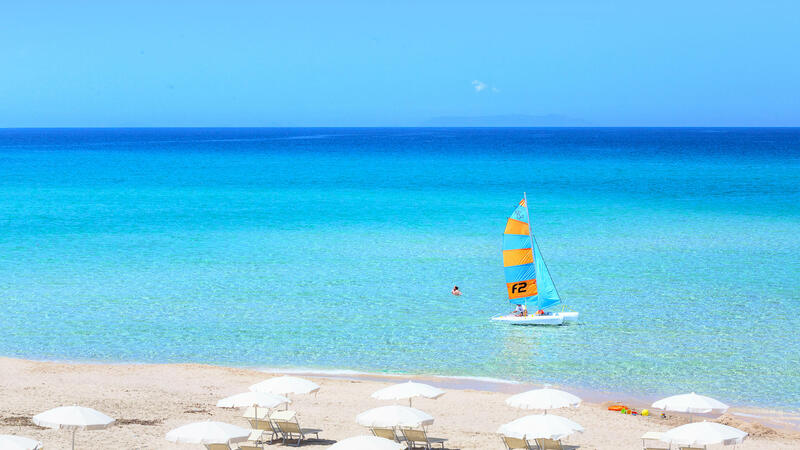 At the Park Hotel Cala di Lepre in Palau you can devote more energy and adrenaline to your holidays in Sardinia. Immersed in a luxuriant natural setting with countless activities such as archery, tennis, five-a-side football, horse riding and exciting water sports such as kayaking, windsurfing and SUP, you can keep fit and have fun even when you are on holiday. If instead you are energetic and you like exploring, discovering new locations and enjoying the best nightclubs of the Costa Smeralda, the Resort Cala di Falco is right for you. Right in the heart of lively Cannigione, you can choose between accommodation in the hotel, residences or a villa, all just a stone’s throw from Porto Cervo and a few minutes by boat from the La Maddalena Archipelago. A perfect starting point for experiencing the North of Sardinia from every point of view. 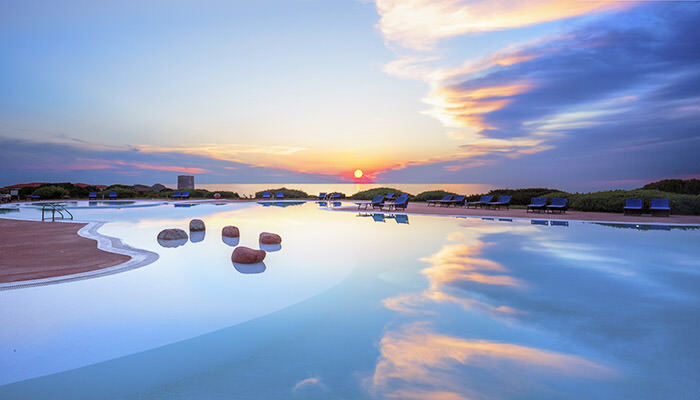 So now you’ve decided which is the right hotel for you, why not book your holiday in the North of Sardinia at the best price and take advantage of the Offers for 2019?